The 32nd Image Awards Basket was given to all the award presenters at the NAACP Image Awards in March, 2001. Click here to visit the NAACP Image Awards website. Metabolic Project: Two private training sessions with Todd Person and a 2 week supply of Nutritional Products. The Image Awards gift project is produced by Sequoia Productions. 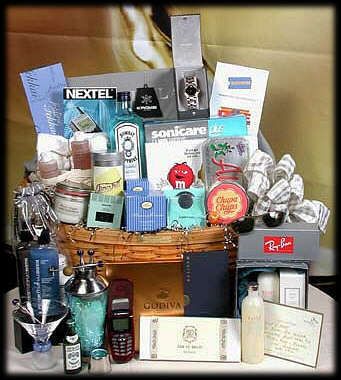 The Image Awards basket is designed and assembled by FanciFull Gift Baskets.